Jagathon at Indiana University-Purdue University Indianapolis was recently awarded the Organization Management award at the Miracle Network Dance Marathon Leadership Conference in July. The Organization Management Award recognizes a Dance Marathon organization that demonstrates success in areas such as board and committee structure, retreats, strategic planning, internal communication, and data tracking. Jagathon receives the Organization Management Award at DMLC 2018 in Indianapolis, Ind. 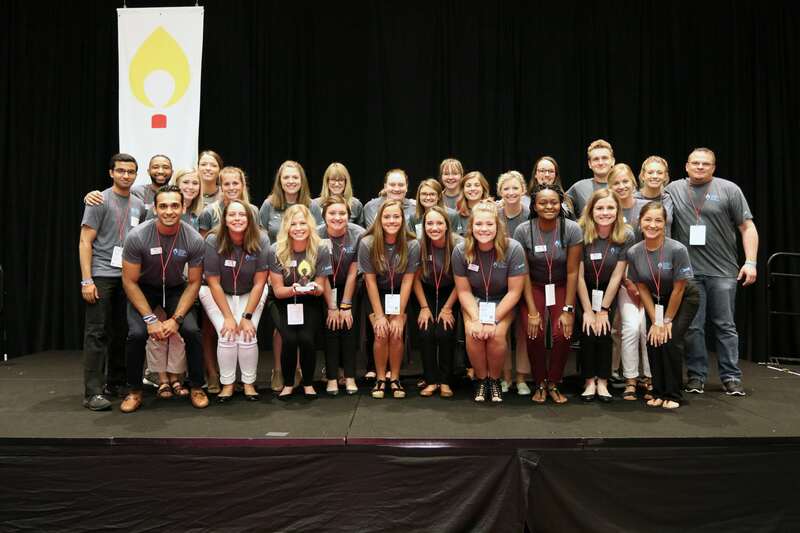 After growing to a nearly 250 member leadership committee, Jagathon implemented programs and processes to help manage their member experience and engagement. They updated their committee structure, revitalized the transition process from year to year, and utilized data to make more strategic decisions. That's a wrap! Second August all committee meeting completed. We are so excited to welcome all new members! Jagathon hosted their executive board retreat in the spring following position transitions. Each director worked with their vice president to complete their annual operational plan. Jagathon also had various presentations on the sources of their fundraising from the previous year, factoring in an analysis of the previous year and opportunities for growth. They then compiled the plans from each director to determine where their fundraising would come from, and the fundraising potential for each area, to form their financial goal for the current year. For a more in-depth look at the retreat, check out their Executive Retreat Agenda. 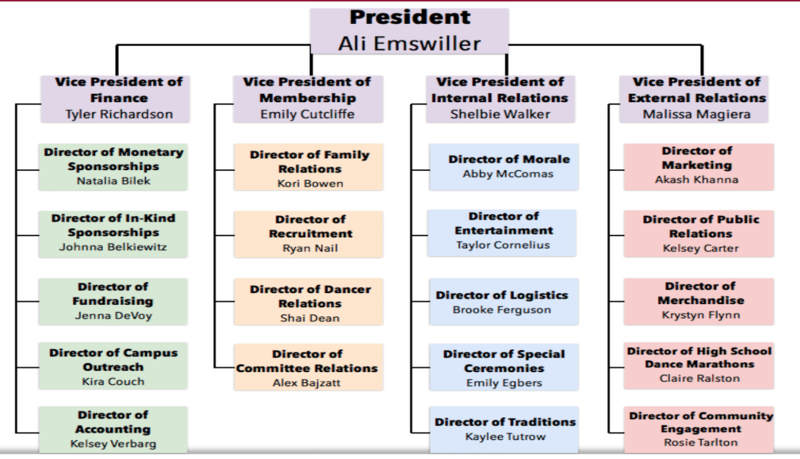 Jagathon’s committee structure consists of one President who oversees four Vice Presidents. The VPs each oversee four to five Directors. The Directors then oversee Chairs who lead subcommittees with the support of general committee members. This year, they introduced a new VP of Membership in response to their goal to improve their processes in recruiting, engaging, stewarding developing relationships with their constituents, which include student participants, committee members, and patient family ambassadors from Riley Hospital for Children. The frequent monitoring of financial progress allowed Jagathon to adjust strategies easily as needed. Each week, the Finance division looked at how the program was tracking toward their goal. Updates were then given during monthly executive board meetings to make sure the organization was informed and able to adjust accordingly. To help better Jagathon’s organization management, they formalized their transition plan from one executive board to the next. Each outgoing executive board member was required to meet with their successor individually to answer any questions and acclimate the new member to their new role. It was also crucial for Jagathon to give members a break between each year. The final transition took place five weeks after their marathon, helping their leadership committee celebrate their success and take a well-deserved breather. Without a doubt, Jagathon’s efforts in organization management helped them increase their engagement and raise their highest annual total in their history–over $500,000, which is a $149,000 increase over their 2017 total!